The latest in body jewelry trend, Pyrex glass ear piercing items have caught the fancy of a fashionista. Bright, colorful and durable, the wide range of pyrex glass ear piercings have become popular among teenagers and also their mothers. 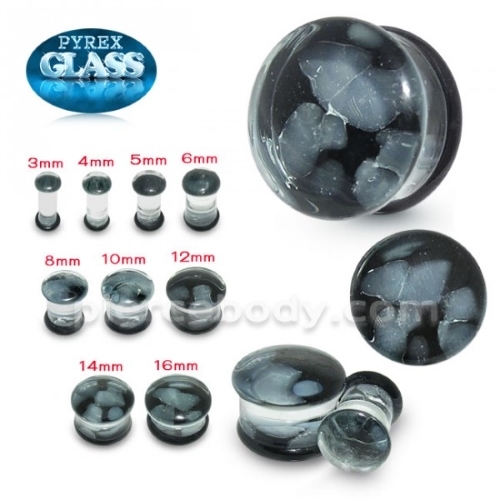 If you desire to have a stylish and attractive look and want to impress your friends, then Pyrex glass plugs are greatly recommended. These ear plugs are cool and trendy; they are available in artistic and interesting designs. They are safe to use and easy to wear. This ear plugs compliments best with almost any attire. You can choose from aqua, green, gray, orange or multi-color plugs to look cool. Ear plugs made of Pyrex glass are a styling essential for the ears of women. Pyrex has a low expansion rate and withstands high temperature so it can wear and torn in all occasions. It’s easy on the wallet and this gorgeous Pyrex glass earplugs are present in all shapes and art forms and is a form of body art. Pyrex glass ear plugs make the wearer stylish and elegant at all times along with helix earrings. It is a must for parties, discotheques, and events and can be gifted to loving ones on all occasions. Pyrex glass is autoclave safe and hypoallergenic. Acrylic jewelry is lightweight and great for healed piercings very quickly. 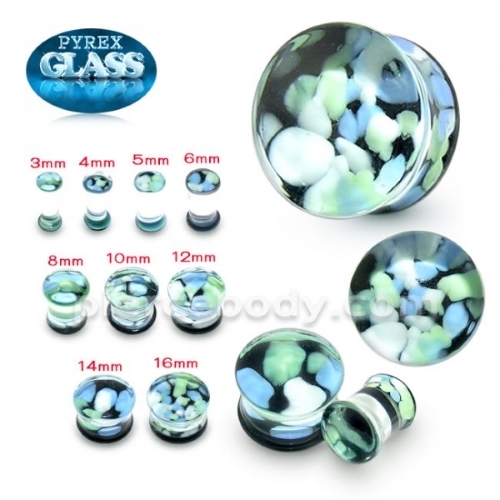 Our colorful high-quality pyrex glass earplugs made by high-quality stuff in beautiful color. The best part about different types of ear piercings is that these are unisex and appear cool. 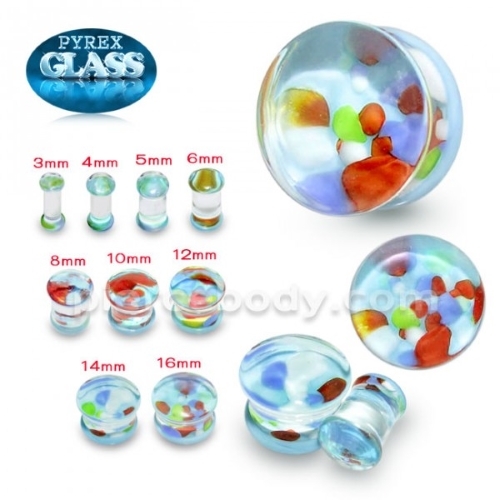 The colorful designs and logos on the pyrex glass ear plugs will add a dynamism to your personality. Crafted with perfectness and finished smoothly, the ear plugs boast off innovative designs like an owl, spider and swirl and bright and solid colors to render an interesting twist. The items are safe for people with sensitive skin. This is made of Pyrex glass which is very light in weights and comes in different colors. These items are handmade which gives a unique touch to the product. This 0g ear plug when worn will surely make people stand unique among the crowd. So you are a cool, youngster and precious metals are just not your scene. But then neither is steel nor titanium even if they happen to be 100% skin friendly. You just have to glance at Piercebody.com and come away hooked to the quaint and safest body jewelry made of Pyrex glass. You name a color and they have it along with the additional option of a multicolored swirl too. Go ahead stretch your ears with the aid of these lovely ear plugs and keep your skin safe from nickel irritation at the same time.